The City of New Castle has a floodplain ordinance and participates in the National Flood Insurance Program (NFIP). The City of New Castle also participates in the Community Rating System (CRS) which enables property owners in the City of New Castle to get flood insurance at discounted rates. On 2-4-15, FEMA’s new Floodplain Insurance Rate Maps (FIRM) went into effect. With the new FIRM maps came changes to which properties are in the 100 year Floodplain AE Zone (1%chance of flooding). Please review the Floodplain map and see if your property is in the Floodplain. You can also contact the City Administration Building at 302-322-9801 to find out if you are in the floodplain or visit the Delaware website Flood Planning Tool. In the search engine at this site enter your address including New Castle City. The City of New Castle is a member of the Community Rating System (CRS), and we receive a 10% decrease for those who purchase flood insurance. If your property is located in the AE Zone (1% chance of flood in any given year), it is highly recommended that you purchase flood insurance. However, all of the City of New Castle is at risk of flooding. Most of New Castle City, if not directly in the floodplain is near the flood hazard area. Statistics show that a lot of flood insurance claims come from people that live outside of the Floodplain. Good resources for Floodplain information are www.fema.com|Federal Emergency Management Agency and FloodSmart.gov. FloodSmart.gov has many tools and resources for the Community. The City Administration Building have literature and brochures to help you keep your property safe. A few ways to protect your property from a flood hazard is to elevate your home, vent your property, and elevate your furnace and utilities above the base flood and to store your valuables and insurance papers upstairs in a waterproof container. Another change for those who live in the AE Zone is building requirements. If you have to repair your home after a storm, or at any time and your property is in the floodplain, please contact the City Administration Building at 302-322-9801 to get a permit and find out ways to build back stronger including the mandatory elevations for your property. Most repairs will need a permit. Please review Chapter 130 of the City Code which has been revised per FEMA requirements. Any questions, please contact the City Administration Building 302-322-9801. A You Tube presentation created by Jeff Bigby, a Floodplain Administrator from Oklahoma, explains how a flood occurs and ways to help lessen the flood waters. Although he talks about Oklahoma it is relevant to Delaware. The link is https://www.youtube.com/watch?v=erhalqod3is&feature=youtu.be . The City of New Castle participates in the National Flood Insurance Program (NFIP). Properties in the AE (100-year, 1% chance of flooding) flood zone are subject to regulations under the City of New Castle Floodplain Ordinance, which meets FEMA requirements for the NFIP. These regulations are designed to save lives and reduce property losses when flooding occurs. Without access to the NFIP, property owners would find flood insurance to be prohibitively expensive, if available at all. Some Consumers Facts and Myths about Flood Insurance. Do you have flood insurance? If so, make sure your contents are also covered! Some people only cover the structure and forget about the contents within the structure. You should obtain flood insurance if you live in the AE Zone (100-year -1% chance of flooding). Homes built before the adoption of the City’s floodplain regulations may likely be at greater risk of flooding during a severe storm. Be advised that most homeowners’ policies specifically exclude damage caused by floodwaters from rising water, inadequate drainage and wind driven rain. Fortunately, the National Flood Insurance Program (NFIP) will provide this important flood insurance for purchase to a City of New Castle property owner that resides in a floodplain. 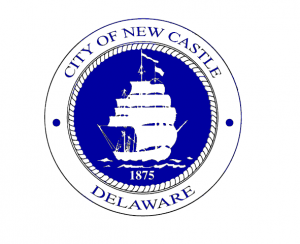 This protection has been made available for purchase to the City of New Castle and other communities that have taken steps to manage and reduce the chances for local residential flooding. Our rigorous floodplain regulations, rated a “Class 8” designation by the Federal Emergency Management Agency (FEMA), allows the City of New Castle residents to take advantage of Flood Insurance options that are 10% lower than the national average. The NFIP coverage is available for purchase to any City of New Castle owner or renter of insurable property. Renters you can get a Preferred Risk Flood insurance policy for your contents. To purchase NFIP flood insurance, contact any licensed property insurance agency or broker. If your property receives substantial flood damage (more than 50% of the cost of the property) you may be illegible for Increased Cost Compliance (ICC) coverage. In addition to being insured under the NFIP, a building must meet one of two conditions to be eligible to receive ICC coverage; it must have been either 1) determined to be substantially damaged or 2) meet the criteria of a repetitive loss structure. If you are not sure if your property is located within the Floodplain, please call the City Administration Building at 302-322-9801. Make sure your home, possessions and family are hurricane and flood safe. Do not wait to get flood insurance. There is a 30-day waiting period before a flood insurance policy takes effect. Act today! Floodplain maps and NFIP information brochures are available at the City Administration Building, 220 Delaware Street and the New Castle City Library, 424 Delaware Street. Are you ready for a flood or other disaster emergency, have a family emergency plan. If you should be driving and run into flooded roads – “Turn around, don’t drown”! It is very hard to judge just how deep flood waters can be. Post Disaster Information: Post Disaster Flyer- Flood Response Preparation (FRP) if your property is flooded, you need to make sure you build back stronger. The Red Cross Brochure on Repairing Flooded Homes gives you ideas on how to build back stronger. Do not forget to contact the City Administration Building at 302-322-9801 before repairing or building in the floodplain. Check out the Post Damage Checklist. You may be eligible for Increased Cost of Compliance Coverage. Please contact your insurance agent for more information and to find out if you are illegible.